During the launch, it was evident Rimmel London pulled out all the stops, bringing alive London City for One Night Only with a swag party. 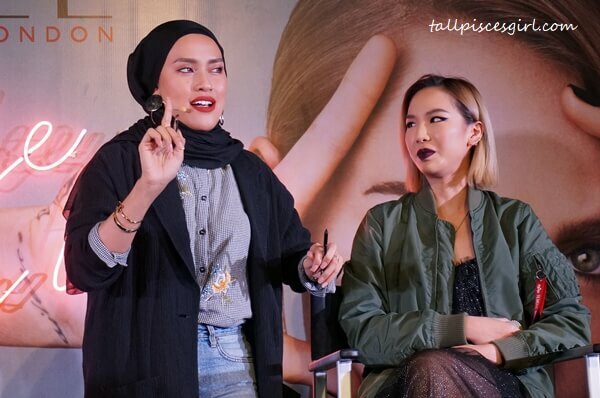 This big bang launch served as a call-to-action for young Malaysian beauty millennials and members of Generation Z to ditch the ‘classic’ approach to makeup and have the confidence to reinvent the rules of beauty and champion the Power of Self Expression with the launch campaign mantra of Make Up Your Own Rules! 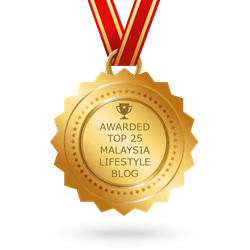 The Malaysian beauty scene has been long overdue for such a refreshing and empowering point of view that encourages fans to embrace who they are and to experiment and make up their own beauty rules and looks. A cutting-edge makeup brand, Rimmel London embodies the quintessential London girl who is authentic, real, bold, confident and expressive. To further highlight and celebrate the edgy London Look vibe, Rimmel introduced a visual signature, the perfect face-framing double L pose, to inspire memorable pictures with a bold attitude. 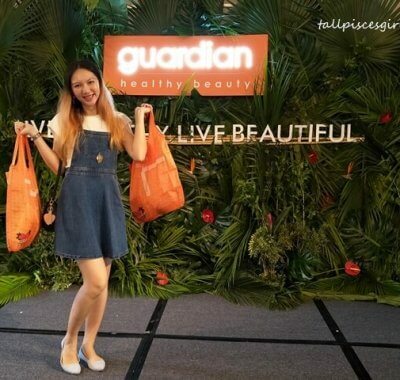 As such, the launch party that was hosted at custom motorcycle garage, the Gasket Alley marked the climax of a progressive launch campaign that started since February that features an exclusive play party for the top beauty influencers and social media stars, an entire month before the launch to tease makeup enthusiasts! 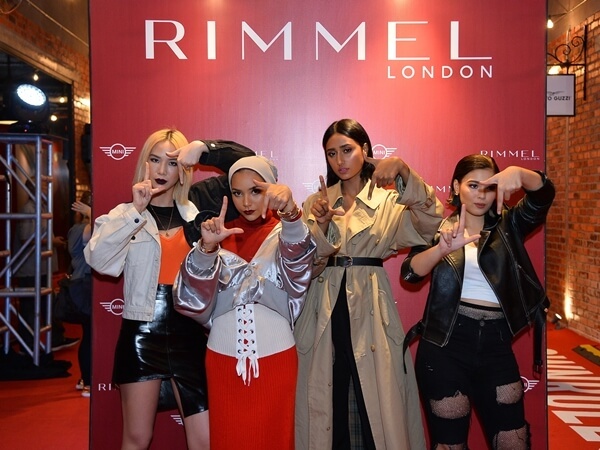 The start of Rimmel London Malaysia launch campaign was marked with the creation of four iconic London Looks inspired by four boroughs of London City representing a different character, mood and attitude. Spotlight Grunge, inspired by North London, is a look that is cool yet glamourous and is ready to be in the spotlight anytime! Experimental Hipster, inspired by East London, is a hold-no-bars look that is fun and unique. Fearless Chic, inspired by West London, is a look that is poised yet fearless, ready to take on the world. Edgy Street Glam, inspired by South London, is edgy and fashionable and stands out! 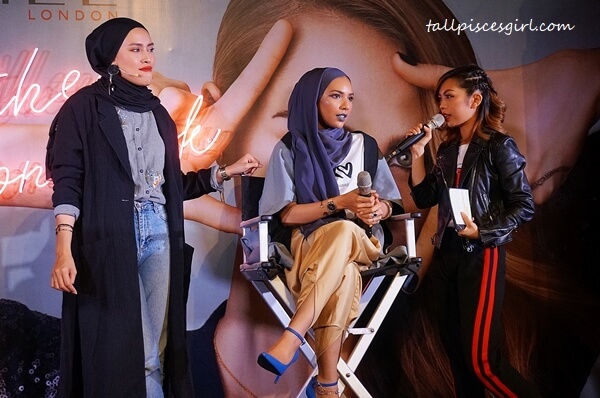 Matching up to the four iconic looks, up and coming KL’s personalities formed a Rimmel Rebel Squad headed by – Chacha Maembong, Ashley Lau, Nina Khalil, and Rubini Sambanthan and supported by makeup artist to the stars, Noriana the Face designer. The girls were then enlisted to channel their inner London Attitude and pulled off each of their London Looks to perfection in a style film that debuted during the launch party. 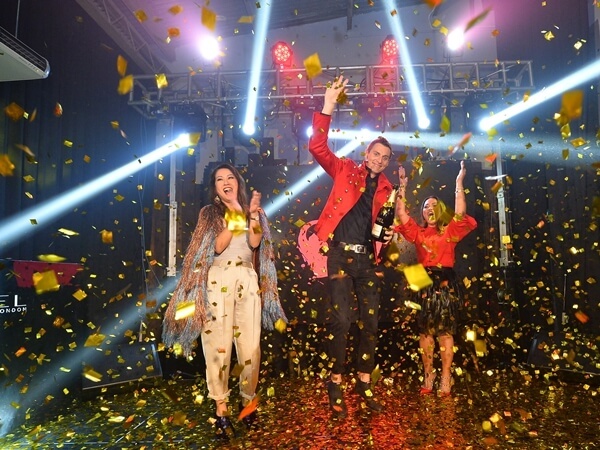 The four Rebels proved their worth by showcasing each look with a catwalk through the audience as they took to stage to welcome the launch in a confetti shower as COTY South East Asia and Malaysia management team popped bottles of Magnum sized Moët & Chandon champagne. 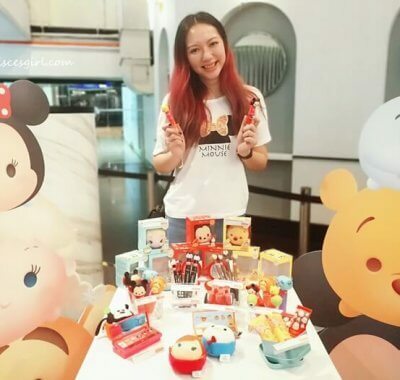 Celebrating the launch in a chic way, Rimmel partnered with MINI in a Rimmel X MINI campaign, with MINI being the official transportation partner for the launch party. Needless to say, I was being chauffeured to The Gasket Alley in MINI! Pick up Rimmel London’s hero products, the new ‘Stay Matte Liquid Lip Colour’ in 15 shades for lasting boldness and ‘Brow This Way’ range of innovative brow products; as well as Rimmel London’s full range of products at selected Watsons and Guardian stores in West Malaysia. 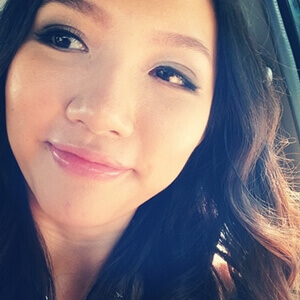 Follow Rimmel London Malaysia’s official Facebook Page: https://www.facebook.com/RimmelLondonMY or Instagram at @rimmellondonmy for more information on the products, makeup inspiration and more.